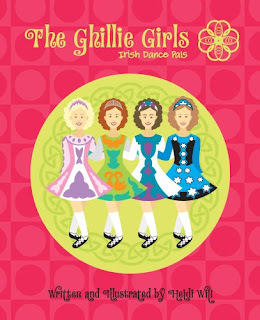 *For the next few months I will be reviewing Irish dance related books, along with my usual YA reviews. To go along with the Irish books, I will be trying various Irish recipes(watch for Sugar Cookie Dolls to be posted as soon as I test it in my kitchen). Brightly colored and easy to read, The Ghillie Girls introduces Irish dance in a fun format that will appeal to those who want to know more about Irish dance, and those who already love it. I love comments-tell me what you think!